The Air Force Career Intermission Program may be your way to manage short-term conflicts between service and self, enabling the Air Force to retain valuable talent by providing career flexibility to attend to personal and professional needs without having to choose one over the other. To meet the changing needs of today’s Airmen, CIP has expanded to provide new participation opportunities. JOINT BASE SAN ANTONIO-RANDOLPH, Texas — The Air Force has changed the Career Intermission Program to expand participation opportunities for Airmen from one application window each year to three. 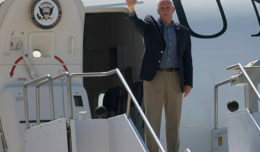 In addition, Airmen with humanitarian circumstances may submit out-of-cycle CIP applications, as can dual-military married Airmen when a join spouse assignment cannot be supported, provided they meet CIP eligibility criteria. If desired, the Air Force Personnel Center will expedite the CIP application. 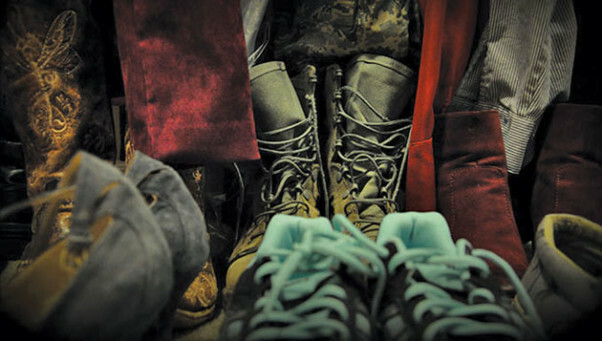 Open to regular Air Force and career-status active Air National Guard and Reserve Airmen, 108 Airmen have been selected to participate in the program since its inception in 2014. Designed to allow Airmen the flexibility to manage short-term conflicts between service responsibilities and life priorities, CIP offers Airmen the opportunity for a one-time temporary transition from active duty to the Individual Ready Reserve. The participation period is a minimum of one year, not to exceed three years, and provides a mechanism for seamless return to pre-CIP active-duty status. 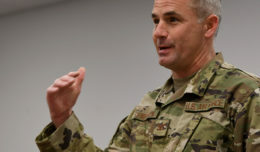 CIP also provides a means to enhance retention of Airmen by preserving their valuable experience and training that might otherwise be lost by permanent separation. Application windows will be available each year from April 1 to May 13 (Cycle A), Aug. 1 to Sept. 12 (Cycle B) and Dec. 1 to Jan. 12 (Cycle C). However, to allow time to implement program changes, Cycle B for 2017 will open Sept. 22 through Oct. 31. An Airman’s potential to serve the Air Force in the future, including leadership, duty performance, professional development, depth and breadth of experience and achievements, are all factors that bear in evaluating applications. Program participants sign an agreement stating they will return to active duty in the same component from which they separated and serve two months of active duty for every month of CIP participation. 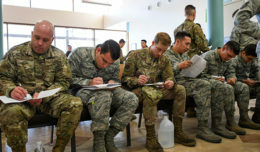 Airmen in the program receive a monthly stipend equal to two-thirtieths of their basic pay and retain full active-duty medical and dental benefits for themselves and their eligible dependents. They’ll also be able to carry forward their leave balance as long as it doesn’t exceed 60 days. Time spent in CIP doesn’t count toward eligibility for retirement, computation of total years of service, years of aviation service or years of service towards basic pay, nor are participants eligible for promotion consideration while in CIP. Find additional information and eligibility requirements on myPers. Click the “Career Intermission Program” link under the “Career Management” menu from any military landing page.